When shopping for engagement rings, couples today are looking for styles that provide a unique twist on tradition and that reflect their personal tastes and romance. One engagement ring trend for 2011 that is being requested more and more often at jewelers, and has been recently seen on celebrities, is a halo setting. 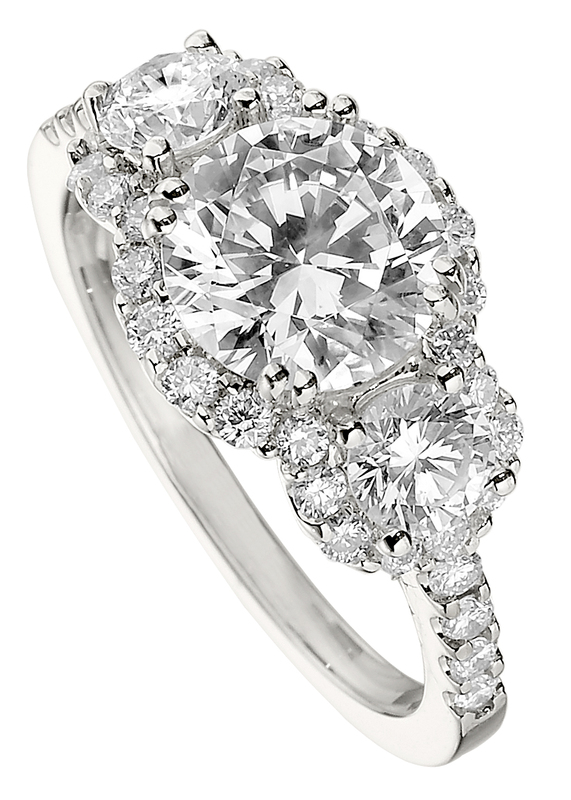 The unique style has the distinctive feature of a circle of diamonds, or a "halo" that appears to float around the center diamond. Not only do the extra diamonds add tons of sparkle, they can crate the impression of a larger center stone.